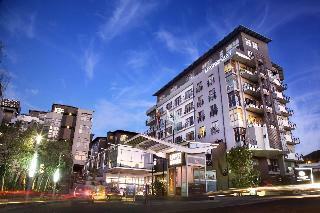 This 4 star hotel is located within the city of Cape Town and was established in 1997. It is close to the V&A Waterfront. The Hotel has an outdoor swimming pool and a fitness centre/gym. All 234 rooms are equipped with minibar, hairdryer, safe and air conditioning. This luxurious boutique hotel boasts a strategic position in the Sea Point cosmopolitan area, ideal for both leisure and business travellers alike. While being treated as a VIP guest. 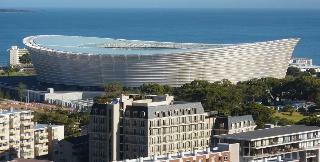 From the hotel, visitors will be able to enjoy wonderful views to Cape Town's main sightseeing attractions, including Table Mountain, Signal Hill and Lions Head. Within a short stroll away, guests may reach the sea promenade for a leisurely walk and admire the impressive views to the Atlantic Ocean a mere 100 meters from the hotel.In a courtyard setting, you are invited to a pleasurable dining experience. Where executive chefs prepare the exquisite specialties, for your indulgence.All the open-plan modern and comfortable guest rooms and suites count with a lot of free space and all the amenities necessary for a memorable stay. They have a complete kitchen for guests to prepare their own dishes and lavish and superior amenities such as a large and cosy bed. Guests can enjoy a refreshing dip at the outdoor rooftop pool. While there enjoys a cocktail from the sky deck on a poolside lounger. Nestled between the vibrant Atlantic Seaboard and Table Mountain, the city hotel is ideally situated opposite Cape Town's International Convention Centre, minutes away from the famous V and A Waterfront and all main tourist attractions. 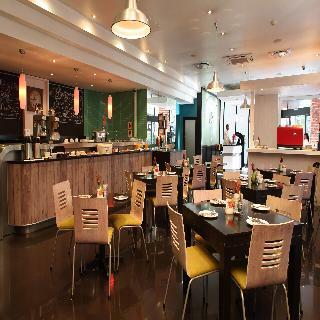 Furthermore, the hotel is suitably positioned about 20 km from Cape Town International Airport and within walking distance of all major offices and shopping centres.This modern and relaxed setting compliments a unique experience whereby the staff pride themselves by ensuring superlative service and taste with a disciplined attention to detail. Furthermore, all the 170 elegantly appointed, fully equipped spacious rooms, feature spectacular views of either Table Mountain or Table Bay. Facilities available to guests include a 24-hour check-out service, lift access, a café and restaurant, room and laundry services, and a car park.All rooms feature a remote control TV with selected channels, air conditioning, an electronic door lock and an en suite bathroom with shower, bathtub, full bathroom amenities and hairdryer. Other in-room amenities include tea and coffee making facilities, an iron and ironing board on request, direct dial telephone, Internet access, safe and fridge. 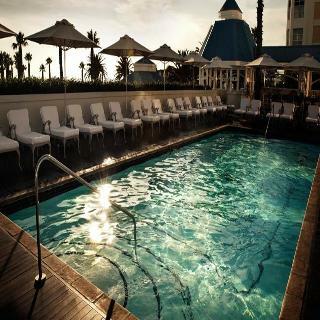 This hotel is centrally located not far from the famous Victoria & Alfred Waterfront and offers expansive views of Table Mountain, the lively harbour and Robben Island. A public transport stop can be found about 1 km from the hotel. The centre of Cape Town is some 5 minutes away, whilst the beach lies approximately 10 km away. With its excellent facilities the hotel is an ideal destination. Cape Town airport is about 20 km from the hotel. 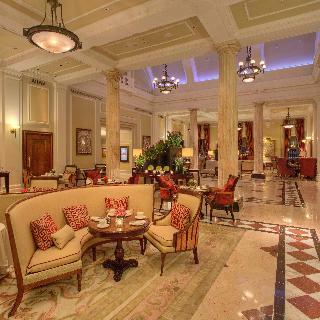 This air-conditioned luxury building hosts an elegant lobby, various shops and a hairdresser's. 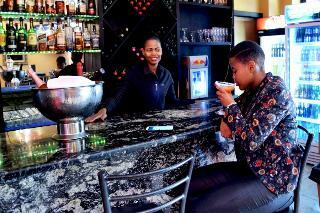 Culinary options include a bar and 2 restaurants serving different cuisine. 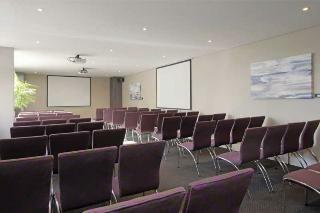 Business travellers may use the well-equipped conference rooms. The stylish rooms are air-conditioned and comfortable, with an en suite bathroom. Further fittings include a minibar, a hire safe, tea and coffee making facilities. The rooms also feature a separate sitting area. 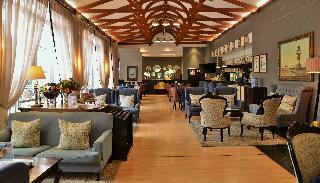 This luxurious hotel is located within 5 km from the Cape Town International Convention Centre. This chic 4-star hotel is decorated in a fresh, modern and contemporary style, offering sophisticated furnishings and amenities, including central air-conditioning with individual thermostat control, complimentary WiFi access and parking to its guests. Guests can also make use of the large indoor pool and those who want to work out can do so in the gym. The stylish rooms are decorated with warm colours and are fitted with air-conditioning, a flat-screen satellite TV and a work desk. For dining, guests may opt for Liberty's restaurant, which serves international modern cuisine made with fresh ingredients. After a delicious and satisfying meal, guests can hop over to The Estreet Bar which offers an extensive list of South African wines, including organic wines. This luxurious residence is located in the central district of Green Point, just 5 minutes' walk from Cape Town Stadium and the V & A Waterfront. The apartments are spacious and have been decorated in soothing colours to create a relaxing and welcoming atmosphere. The apartments feature a Juliet style balcony, ideal to enjoy a refreshing drink whilst admiring the sunset. 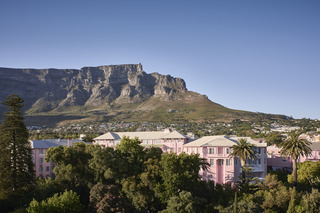 Belmond Mount Nelson Hotel is a timeless and authentic resort hotel located in the heart of Cape Town.Conveniently located within the cultural centre close to top sightseeing attractions and the city's best beaches, the garden estate is an urban sanctuary. Two heated swimming pools, rolling lawns and Rose gardens lend themselves to romance, and the abundant space is family-friendly.Several accommodation wings house 198 individually styled rooms and suites.The contemporary Planet Bar and Restaurant and the Oasis Bistro offers guests a true South African gastronomic experience. Afternoon Tea served in the hotel lounge is a signature experience.Librisa Spa, our destination day spa, offers guests a bouquet of holistic treatments.